Take a look at a recent article from our Tech Check section of Advice Matters that focuses on keeping your technical knowledge up to date with the latest changes. The article provided below looks at providing suitable advice to clients in light of the FCA announcing undertake a suitability of advice review in 2019. 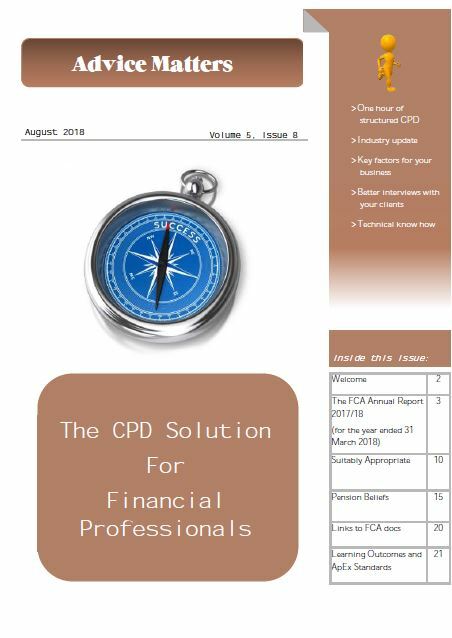 With the FCA stating that it will undertake a suitability of advice review in 2019, based on advice provided in 2018, and testing the implementation of MiFID II and PRIIPs, it has never been a better time to review how you assess, and evidence, suitability in your interactions with clients. What is interesting here is that overall, suitability was by and large suitable, but the area of disclosure really let the industry down. It was also noted that some of the reports were too long and/or too complex, which could make it harder for clients to make informed decisions about their financial affairs. So, what is it that the regulator is looking for? Let’s have a look……. One key point here is that a report should add ‘colour’, in other words, paint the picture of the client and their circumstances, in words that are easy to understand, so avoiding any potential doubt. Whilst a suitability report is never going to be short, they could perhaps be shorter, and certainly better structured. So, what does the above look like when we break it down? There should be no need here to repeat what the client already knows, for example, John you are 56, married to Gloria….and so on – this is just a repeat of the fact find, and the client must be wondering why you are stating the obvious! 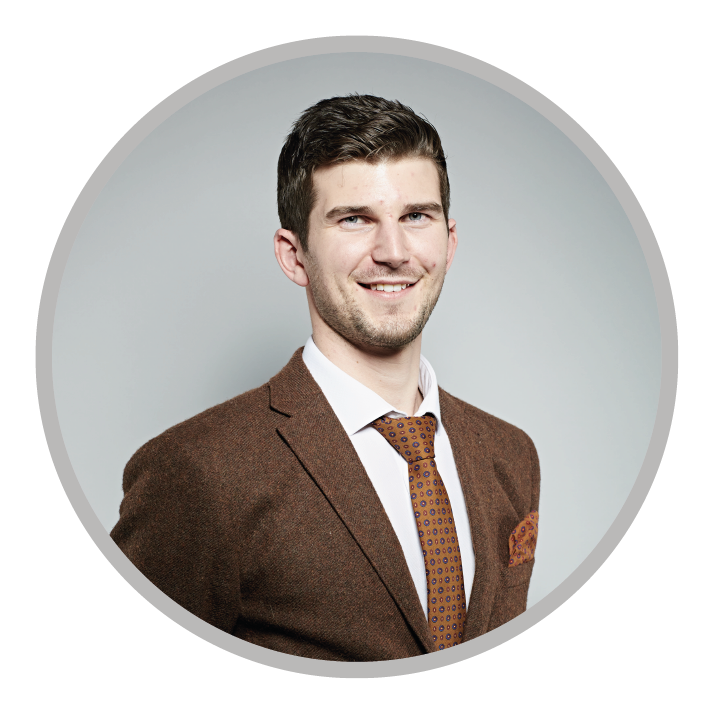 However, there does of course need to be a high degree of personalised content, and client specific wording. Replaying the client’s own words is a very powerful tool and can be very difficult to argue with. Quite difficult to do in the financial services industry, I hear you cry – technical language is sometimes unavoidable, but a description in layman’s terms can help to clarify. Long sentences and unnecessary words only add to the length of a report and can obscure some key messages. It is essential that the reasons why a recommendation is suitable is clearly documented, linking back to the specific objectives of the client, and how this meets their needs. Relevant personal information provided in this section will further strengthen your recommendation and customise standard advice reasons. Disadvantages should be given the same prominence as the advantages – putting the client in a position to make a fully informed choice, and fully understand the recommendation in front of them. As they say ‘fore-warned if fore-armed’. Of course, the risks need to be documented and explain, but how you do this is important. Having a section within the report that just details all the risks of a particular product will not suffice – these need to be tailored to the specifics of the client’s circumstances. Don’t adopt a scattergun approach, if they don’t apply, don’t put them in. Or if the structure of your reports doesn’t allow for this, make sure you clearly highlight the specific risks that are relevant. So, the question here is do you need to detail all the costs and charges, even if these have been provided via other documentation, such as illustrations or key facts documentation? If you consider this from a client’s point of view, sometimes there are situations which can be quite complex and multi-layered. In these cases it would be good practice to include a summary of the charges, maybe in table format, so this can be easily referenced, and perhaps compared, by the client. If you are dealing with replacement business, the differences in costs would be expected to be fully detailed. There is no issue with the cost being higher than the original product, as long as there is a good reason why the new product or service is more suited to the client’s current needs. Can your clients understand your charging structure? Do you disclose your initial and ongoing charges in cash terms? If your charge is a percentage do you provide cash examples? If you charge an hourly rate do you provide indicative examples? Limited or full advice disclosure should have been covered in your initial disclosure documentation and discussion, along with any specific client agreement. So, is there a need to repeat this within the suitability report? A reference to this would provide completeness to the advice provided, but there is no need to fully repeat what you have already disclosed. If you are providing a limited advice service, then it would be important to explain the risks associated with this, which might prompt the client to seek full advice. If you have highlighted any specific needs or objectives that have not been addressed in this round of meetings, then it would be prudent to include these at some stage in the report. The FCA has made clear its expected approach to insistent clients, stating ‘it is essential that clients in this position have had the consequences fully explained so they understand the implications of proceeding against the recommendation’. The regulator has stated that there must be a clear distinction between the advice that is being acted against and any subsequent or concurrent advice, and has suggested this might be achieved through a distinct, separate suitability report. Best practice in this scenario would be to replay the client’s own words as to why they wish to proceed with a course of action that is against your recommendation. When providing investment advice or portfolio management services that involve switching investments, either by selling an instrument and buying another or by exercising a right to make a change in regard to an existing instrument, investment firms need to collect the necessary information on the client’s existing investments. Firms are then required to undertake an analysis of the costs and benefits of the switch, to demonstrate that the benefits of switching are greater than the costs. This will have impact on clients switching between DFM services. Investment firms will not create any ambiguity or confusion about their responsibilities in the process when assessing the suitability of investment services or financial instruments. When undertaking the suitability assessment, the firm shall inform clients or potential clients, clearly and simply, that the reason for assessing suitability is to enable the firm to act in the client’s best interest. This prevents advisers from saying “I have a long list of questions to ask you”!! In the case of joint holders, firms will establish and implement policy as to who should be subject to the suitability assessment and how this assessment will be done in practice, including from whom information about knowledge and experience, financial situation and investment objectives should be collected and record this. DFMs must now produce a suitability report at the outset of relationship with a new client and periodic statements of suitability. Where a portfolio depreciates by more than 10% and thereafter multiple of 10% since the last valuation point, a communication must be sent to the client (or made available in a durable medium) no later than the end of the business day in which the threshold is exceeded. With regulatory requirements becoming evermore burdensome, the challenge, as can be seen from the above, is to be able to relay all the necessary and relevant information to a client, to ensure full disclosure and evidence suitability of any recommendation, yet keep reports as short and as simple as possible – no mean feat! Click Image to download article.